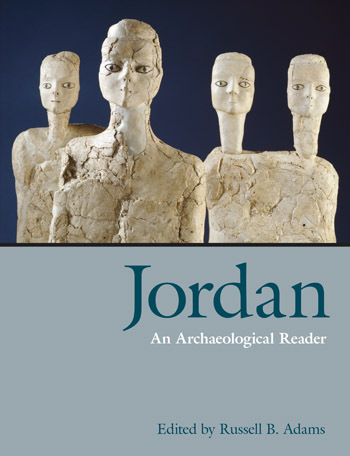 Jordan: An Archaeological Reader provides a detailed survey of the human occupation of Jordan from the Palaeolithic through to the end of the Ottoman period. 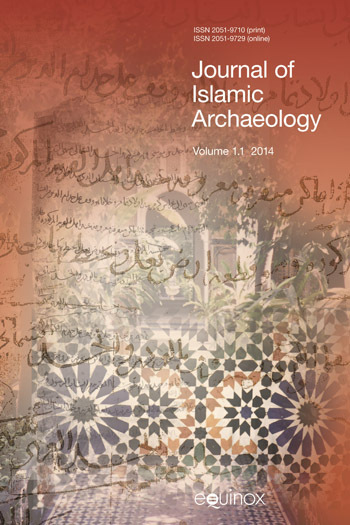 The volume is introduced by a brief history of the development of archaeology in Jordan and an overview of the evolving landscape and environment of the country, followed by fifteen chapters as chronological summaries of the principal archaeological periods. The primary intent of this volume is to provide an introductory textbook for students of archaeology in general and Levantine and Near Eastern Archaeology in particular, as well as a companion volume for interested amateurs and tourists. The area known today as Jordan (formerly Transjordan) lies between Palestine (Cisjordan or modern Israel and the Palestinian Territories) and Mesopotamia, and is in- timately connected to these surrounding regions of an- cient Western Asia, in both geography and history. This survey of the development of archaeology in Jordan will outline the major phases of exploration in this region and highlight briefly some of the important developments in archaeology in Jordan. The following contribution examines aspects of the physi- ography of Jordan as a basis for understanding processes and events that influence population distribution and occupational environment, both at present and in the past. This chapter provides a description of the physiography of Jordan based largely on the physiographic provinces initially erected by Bender (1968, 1974, 1975), but with some modifications. For each province it examines and compares events from a small selection of well-document- ed sites, where the nature of long-term occupation reflects strongly on the physical evolution of Jordan through time. In dealing with palaeoenvironmental reconstructions there are many difficulties in comparing the palaeohydrol- ogy and palaeoclimatology from different areas, and this is especially the case using archaeological evidence. Deborah I. Olszewski specializes in the Upper Paleolithic and Epipaleolithic of the Middle East, where she has been involved in several projects in Jordan, including the Wadi Hasa Paleolithic Project (directed by G.A. Clark), the Eastern Hasa Late Pleistocene Project (co-directed with N.R. Coinman), and the Western Highlands Early Epipaleolithic Project (co-directed with M. al-Nahar). Her interests include the origins of food production economies and the application of interpretations of lithic assemblages to understanding hunter-gatherer-forager settlement systems. She is Adjunct Professor in the Department of Anthropology, University of Pennsylvania. The modern country of Jordan is within the eastern or inland Levant, a region that has undergone striking cli- matic and ecological change during the course of the approximately 450,000 years of its Palaeolithic prehistory. Its story of ancient humans is one told largely through the stone tools they discarded, their campsites, the remains of their food, and the reconstruction of the landscapes they inhabited. More rarely, this story also includes evidence from burials and of artistic expression. The study of these Palaeolithic groups and their lifeways is part of a research tradition with a lengthy history, one which has acceler- ated at a dramatic pace since the 1970s. Beginning in the 1980s the pace of Neolithic research in Jordan surged, and in the past five years since the first version of this synthesis appeared (Rollefson 2001), the rate has not slackened, prompting the necessity for a substantial revision. The results of new surveys (e.g. Mac- Donald and Sawtell 2002; Henry et al . 2001; Amr et al . 1998) and subsequent accelerated excavations continue to produce results in considerable quantity, providing rich details and fleshing out previous skeletal frame- works of social and economic relationships within and between farming and herding populations in a variety of environmental settings across the landscape. One of the fundamental outcomes of this work is the documentation of unsuspected but substantial cultural variability across Jordan that spanned the entire Neolithic period. Stephen Bourke is Research Associate in the Department of Archaeology, University of Sydney. Current Director of Pella Excavations, he is a prolific scholar who previously directed Teileilat Ghassul excavations. After introductory remarks on history of research and chronology, our procedure will be to outline settlement patterns, economic and subsistence developments, and material cultural remains (including burial customs and trade patterns), initially with reference to the evidence from Tulaylat Ghassul, and then from a Jordan Valley per- spective, before integrating observations so derived with the more limited data from upland/marginal areas. 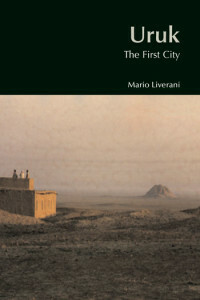 In the previous version of this contribution (Philip 2001), I used the opportunity provided by the request to produce an overview of the evidence for the Early Bronze Age in Jordan to put forward an interpretation of the data which differed from the “city-states” model which has domi- nated the literature in recent decades (e.g. Ben-Tor 1992; Esse 1991; Mazar 1990; Richard 1987). It is encouraging to note that since that account was written other scholars have raised similar concerns regarding the appropriateness of the traditional approach (e.g. Greenberg 2002, 2003; Harrison and Savage 2003; Nicolle 1999). As a result, in the current version of this chapter, I have sought to take account both of the substantial amount of new evi- dence which has appeared since the late 1990s and shifts in scholarly approaches to the interpretation of small scale complex societies in the region. Once more, however, it is important to stress that this review should not be regarded as anything other than a framework that others may wish to critique, revise, develop, or even contradict. The Early Bronze Age IV (c. 2350–2000 bc) is character- ized in Jordan by an extensive occupation of both fertile and arid environments, in what seems to be an essentially rural occupation of the landscape, and with a typical absence of urban centres. This characteristic makes the entire period a “rural interlude” between the Early Bronze II–III and the Middle Bronze Ages, periods when the urban element of those societies appeared to be much stronger. The same situation is reflected in Israel and Palestine, as well as southern Lebanon and Syria, while in northern Syria large urban centres (such as Ebla [Tall Mardikh]) flourished precisely during the last quarter of the third millennium bc. Steven Falconer is Professor and Chair of the Anthropology Department, University of North Carolina at Charlotte. He has directed several excavations in Jordan along the Jordan Rift, as well as a Middle Bronze Age site in Cyprus. The Late Bronze Age in Jordan is divided into LB I, IIA and IIB. These divisions are dictated partly by the archae- ological finds, to a certain extent also by political realities and, ultimately, by the terminology of the archaeology of the Levant, especially that of Palestine west of the river Jordan. Jordan itself may be divided into northern Jordan, that is, the northern plains from the Yarmuk River to the mountains south of Jarash, or to Wadi Zarqa; central Jor- dan, the area south of this to Wadi Hasa; southern Jordan, the area south of Wadi Hasa; the Jordan Valley from Tall Shuna (N) to the Dead Sea; and, finally, the desert to the east. Larry Herr is Professor Emeritus of Religious Studies at Burman University where he is working on the final publications of the excavations he co-directed with L. T. Geraty and D. R. Clark at Tall al-`Umayri for the Madaba Plains Project from 1984 to 2008. His primary research interests include the archaeology of Jordan in its Levantine context, the pottery of the southern Levant, and the development of writing and scripts during the Iron Age. The Iron Age in Jordan saw the settlement of a variety of population groups or “tribes” in the arable parts of the Jordanian plateau and their gradual coalescence into formal “national” states with their own monarchies and governmental bureaucracies. Although the Jordan Valley and the northern plateau (north of Wadi Zarqa) had been constantly and relatively heavily settled throughout the Bronze Age, the plateau south of the Wadi Zarqa had been comparatively empty during the Middle and Late Bronze Ages. Settlement began again in the Amman region toward the end of the Late Bronze Age; in the Karak region during Iron Age I; and in the Tafila and Aqabah regions during the second half of Iron II. Settlement thus spread gradually in a southward direction throughout the Iron Age. In general terms, the Hellenistic Period, c. 330–30 BC, can be considered one of the best known historical periods of Antiquity. The three hundred years between the death of Alexander the Great (323 BC) and the fall of the last of the great Hellenistic kingdoms, Egypt, to the Romans (30 BC) produced an overwhelming amount of historical documents and material culture. This general observa- tion is true for almost all of the Mediterranean as well as for neighbouring regions, such as Mesopotamia and Iran, parts of the Seleucid kingdom, and for Egypt, home of the Ptolemies. Jordan was the province of Arabia in the Roman period. However, the northern part of the province also extended into what is today Syria and where lay the “capital”of Arabia, Bostra (modern Busra al-Sham) along with a number of adjacent towns. As such, they are omitted from this discussion. There is, however, a considerable modern literature that reports on recent work in the area (e.g. Dentzer 1986; MacAdam 1986b; Burns 1992). In contrast the “Jordanian” cities of Gadara and Pella, once members of the informal pre-province league known as the Decapolis, were transferred to the province of Syria when the Nabataean kingdom was annexed in AD 106. Although part of another province in the Roman period, these particular cities are discussed here as they are now in Jordan. Finally, I have defined the Roman period as spanning the mid-first century AD to the end of the fourth century. In a volume such as this on the archaeology of Jordan, it would not have been surprising in years past to find the articles ending with the “coming of Islam.” The dominating model was that this momentous event sealed the past and began a new, fully historical Mediaeval period. This somehow implied that full historical documentation (would that such a thing existed) somehow obviated the need for archaeology. For scholars studying the period after this defining event, archaeological methodology was seen as subsidiary to historical, a scholarly tendency commonly encountered in the study of any society that left written sources. Although written records may provide details, thoughts, reasoning, and the like, broader trends, both temporal and spatial, frequently may be clarified only through the archaeological record. Educated as an archaeologist and historian, my research and teaching centres on the archaeology, architecture, art, and numismatics of the Islamic World. In my work I seek new ways of understanding formative developments in Islamic society through the use of contemporary (and especially post-colonial) approaches to the analysis of visual culture. I have worked in the Middle East for over 35 years, over which time I have directed five major field projects. My current research focuses on the major site of Jarash (in partnership with the Department of Antiquities of Jordan), and a joint heritage and archaeology project in northwest Qatar at the UNESCO-listed World Heritage site of Al Zubarah (in partnership with the Qatar Museums Authority).